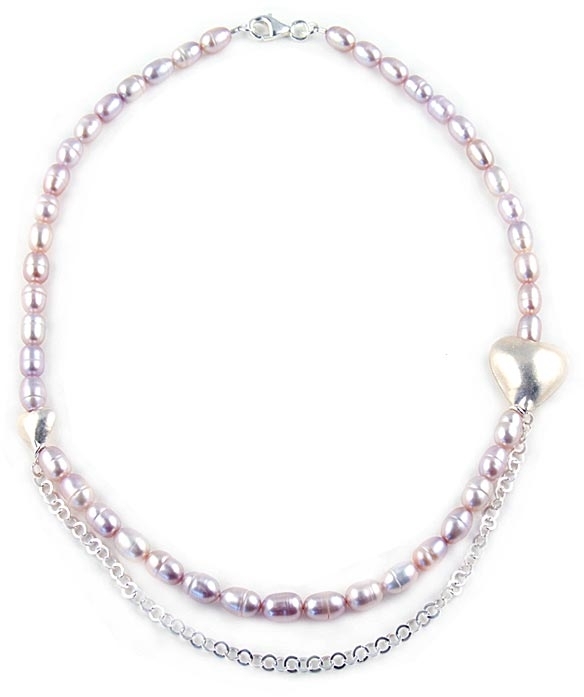 Pink freshwater pearls necklace by Chou. 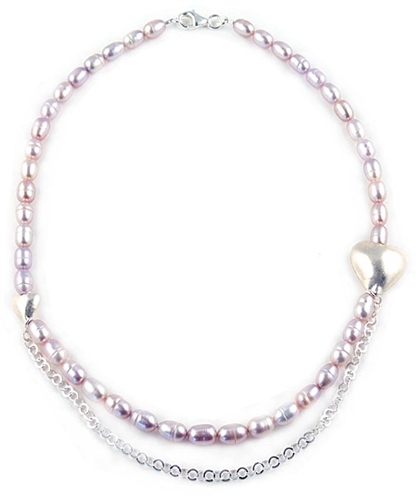 This modern-classic necklace features a strand of 6-6.5mm pink freshwater pearls, two fine sterling silver hearts and a sterling silver chain. Large heart measures 19mm and smaller heart 10mm. Necklace measures 44cm (17.3") in total length. An elegant designer necklace easy to wear all day. Also makes a great gift for a loved one. Available exclusively in the UK from the Farfallina.net.